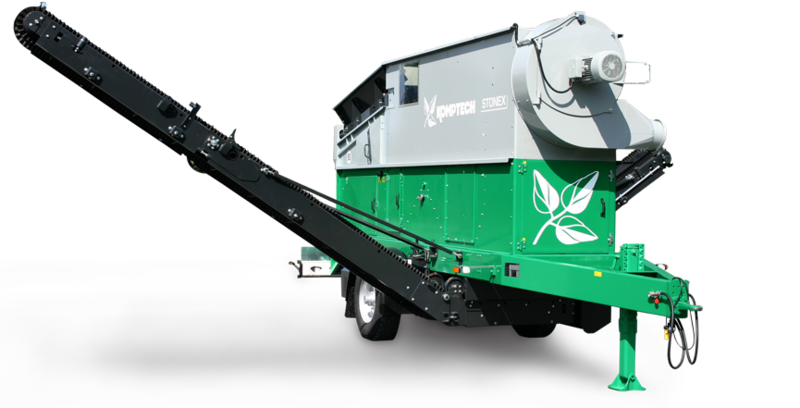 Using a patented system of pressure and suction blowers, the Stonefex generates exactly the right airflow within the separation chamber to remove up to 95% of stones and heavy objects from your material at a throughput rate of up to 130 yd3/hr. Output that was previously difficult to use due to high concentration of stones, can now be easily processed into fuel. 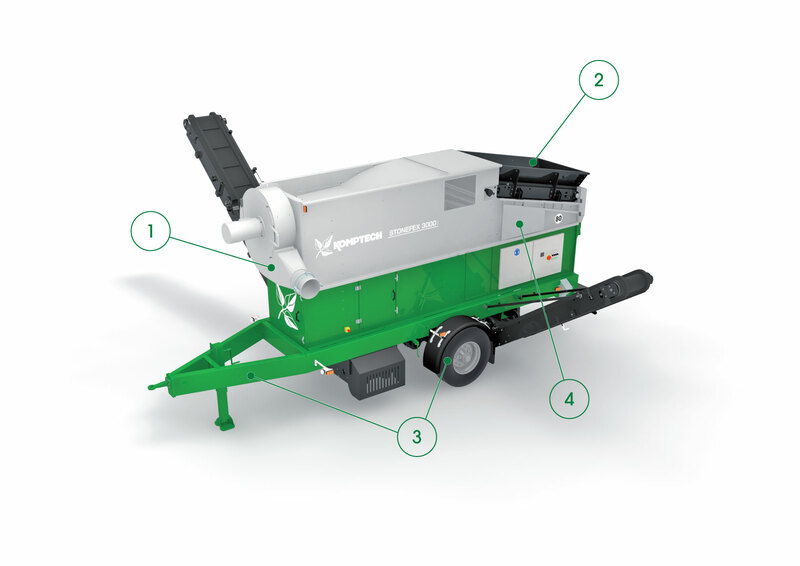 Cleaner biomass processing equates to increased customer demand and higher prices for your product. In the expansion chamber, a system of pressure and suction blowers separates the material into a stone fraction and a cleaned usable fraction, which conveyors take out to opposite sides. A wide intake conveyor with adjustable speed allows for the easy loading of material, and makes the Stonefex compatible with a variety of machines and systems. Maximum mobility thanks to four rugged wheels and a simple hitch hook up, and independent operation with on-board diesel power unit. Large access panels to the separation chamber, the motor compartment and the swiveling suction blower enable simple and convenient maintenance. HAVE A QUESTION ABOUT THE STONEFEX? When it comes to separating rock, stone and concrete contaminate materials from valuable commodities, our team is ready to help you accomplish more by delivering industry and product expertise combined with world-class parts and service support. How can we help you?